This high quality 69"x70" decorative shower curtain is 100% softened polyester, and hangs nicely from the 12 stitch-enforced eyelets. 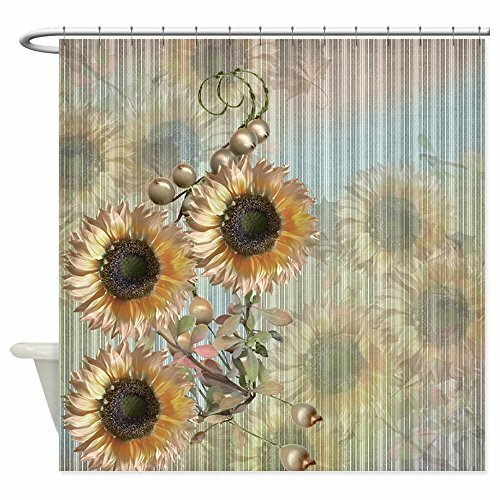 Our shower curtains are professionally printed, so your unique design will look great and make someone smile with the decorative artwork. Standard size fits most bath tubs and shower stall configurations. Shower rod, rings, and waterproof liner are not included. Please note that final print colors and image appearance may differ slightly than what appears on your screen. Machine wash cold delicate cycle, tumble dry low. Do not bleach, iron, or dry clean. IMPORTED. Park Designs Country Star Shower Curtain, 72 by 72"